Propane heaters are great. They can put out a lot of heat, and they’re extremely portable due to the compact nature of propane cylinders. Even when the fuel runs out, it’s a very simple matter of disconnecting the spent cylinder and installing a new one. However, despite all of the great things that propane space heaters have going for them, there are a few key dangers associated with using them in automotive applications. The main issues that you have to consider are fire hazards and carbon monoxide poisoning, both of which can be fatal if you aren’t careful. 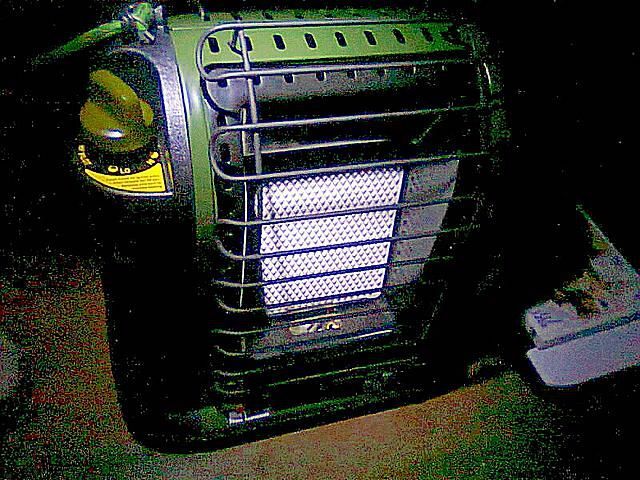 There are two main types of portable propane heater: radiant and catalytic. Radiant heaters burn propane to create a flame that heats up either a metal tube or a ceramic object. The metal or ceramic object then gives off infrared heat. When other objects absorb that heat, they warm off and also emit infrared heat. Catalytic heaters, on the other hand, rely on the incomplete combustion of propane and oxygen in the presence of a catalyst, which produces heat. Since radiant heating utilizes a flame and a hot metal tube or ceramic surface, and catalytic heating involves an extremely hot catalyst, both types of portable propane heaters pose potential fire hazards. Both types also create carbon monoxide, which creates a chance of carbon monoxide poisoning. According to the US Consumer Product Safety Commission, catalytic heaters also pose a hypoxia risk since the process of incomplete combustion can reduce the amount of oxygen in a small, contained area to dangerously low levels. These are the absolute, bare minimum qualities that a portable propane heater should have before you use it in any enclosed area, such as a recreation vehicle, tent, or even a residence. Aside from fire hazards, carbon monoxide poisoning is the largest issue associated with portable propane heaters. This is due to the fact that both radiant and catalytic propane heaters create carbon monoxide as a byproduct of their normal operations. Carbon monoxide is dangerous because when you breath it in, it binds with your red blood cells just like oxygen. Unlike oxygen, it can’t be used by the cells in your body. It also becomes “stuck” to red blood cells so that they can’t carry oxygen, which depletes the ability of your blood to carry oxygen until the affected cells are replaced. If enough of your red blood cells are affected, you can die from carbon monoxide poisoning. The other issue associated with using a portable propane heater in an enclosed space like a car or a recreational vehicle is hypoxia. This is a condition that occurs whenever someone is unable to get enough oxygen due to low oxygen levels in the surrounding environment. Since the incomplete combustion of oxygen and propane in a catalytic heater can potentially lead to dangerously low oxygen levels, anyone in that enclosed space may suffer from hypoxia. If you are only in your vehicle for a short amount of time, it’s unlikely that the carbon monoxide level will rise high enough to pose a danger, and it’s also unlikely that the oxygen level will drop enough to cause an issue. However, the levels of carbon monoxide and oxygen will depend on factors like the air volume in the vehicle, how well insulated the vehicle is, and how efficient the heater is, so it’s still a good idea to look for alternative heating solutions.